Elopements and intimate weddings are super awesome and totally deserve just as much excitement and celebration as traditional weddings! 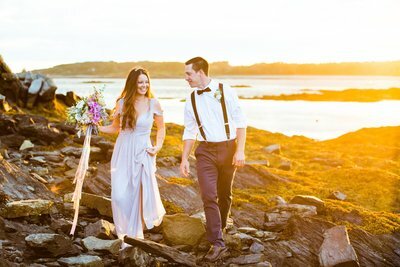 You may not need morning to evening photography coverage of all the typical wedding festivities, but that doesn’t mean you should only get a quick shoot. What’s your dream day with your fiance? Let’s create an itinerary of whatever experiences you want to have, sights you want to see, and moments you want to enjoy on this incredibly special day. And I’ll be right there with you to document your amazing day of love and adventure. 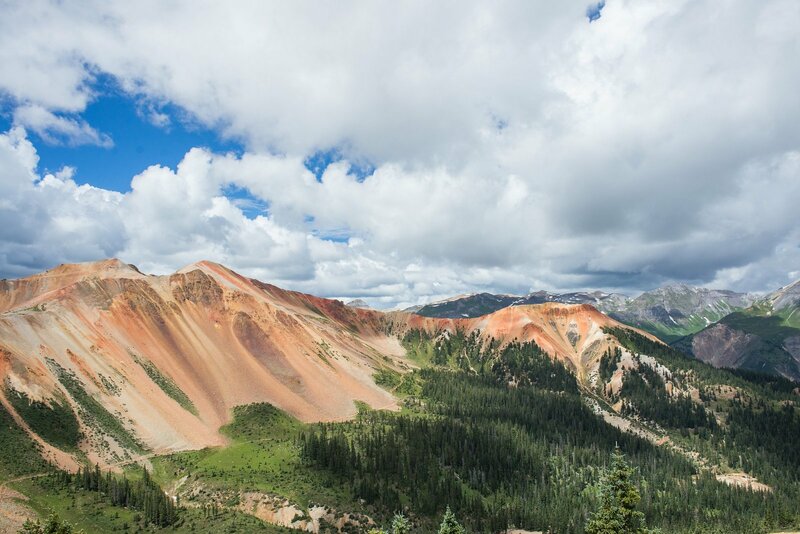 What are adventure weddings + elopements? Gone are the days when eloping meant you had to get married quickly or secretly. Today, elopements can be planned whenever, and are more about having just a few guests to witness your marriage (or none at all!). The focus is on the couple, their love, and making the day exactly what they want it to be. And for those who love adventure, that often means spending the day outside enjoying nature. Sounds pretty great, right? What does an elopement photographer do? You might think I’m just here to take photos of your wedding day, but let me tell you that there’s so much more to it! 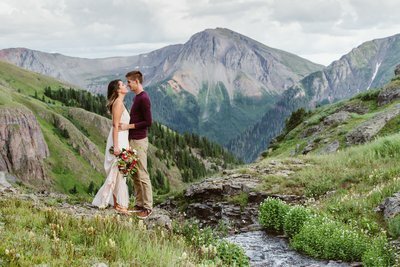 From the very beginning, I’m here to help - and that means giving you ideas and advice on creating a meaningful + fun day of adventures, helping you find the perfect spot for your ceremony, recommending an awesome florist to work with and where to find your dress + suit, building you a wedding day timeline so we can include everything you want, and SO much more. I’m basically a trail guide, best friend, wedding planner, and photographer all rolled into one! How much time do we need a photographer for? You could just do a quick ceremony and then take some photos together for an hour or two. But wouldn’t your experience and your photos be so much more meaningful if you spent the day together doing your favorite things, feeling relaxed and not rushed, and enjoying every little moment of this incredible day? Let’s plan your elopement to be an epic day filled with activities that speak to who you are as a couple and the things you love. Let’s hike a mountain at sunrise. Let’s kayak to a secluded island for your ceremony. Let’s roast marshmallows over a fire as your stargaze. It's your day, so make it your own. And I'll be there to document your awesome adventures and sweet moments so you can remember forever how it felt to marry your best friend. Are you an avid traveler like me? Eloping internationally or in a different state is exciting and so much fun! I know there can be a little extra stress as you plan your elopement from afar, but don't worry - I'm here to help! I'll give you guidance on things like finding a great ceremony location, how to plan your day, what local vendors to work with, and more! And I plan/book all my travel + accommodations myself, so you don’t have to worry about a thing. Check out my destination elopement + adventure wedding bucket list for location inspiration! 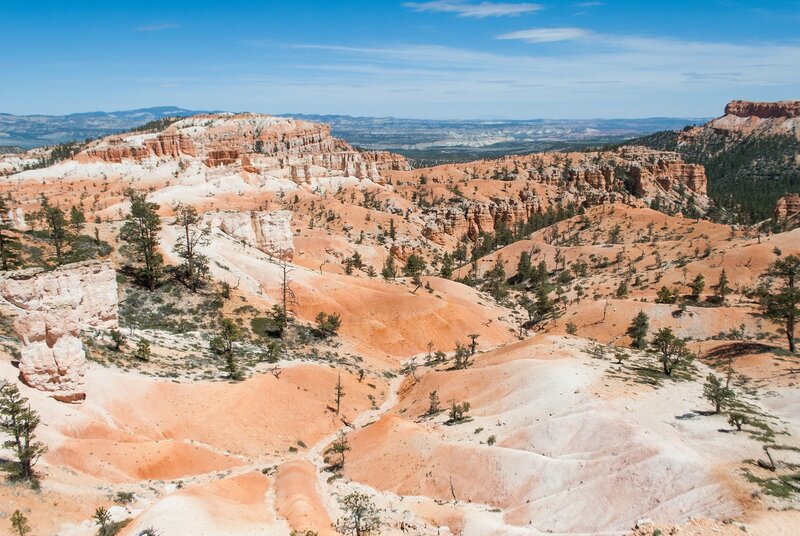 The southwest is full of breathtaking scenery and lots of adventure! 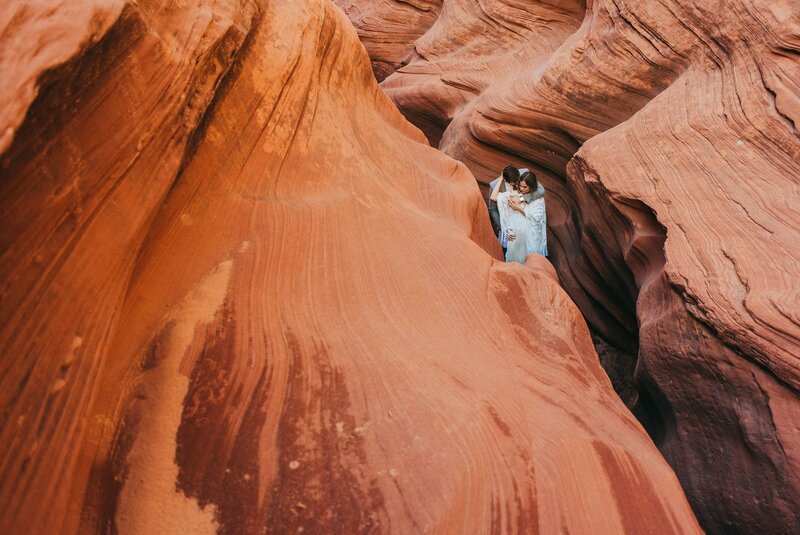 Whether it's the saguaro-filled desert of Arizona, Utah's vibrant red rocks, the cliffs of Texas' Palo Duro Canyon, or the snowy peaks of Colorado, you can find the perfect spot for your elopement ceremony. 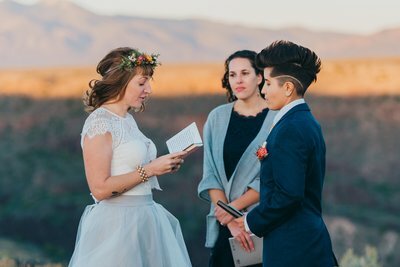 As someone who has frequently explored the southwest, I would love to help you find a location to elope that fits you perfectly! New Mexico isn't called the "Land of Enchantment" for nothing! 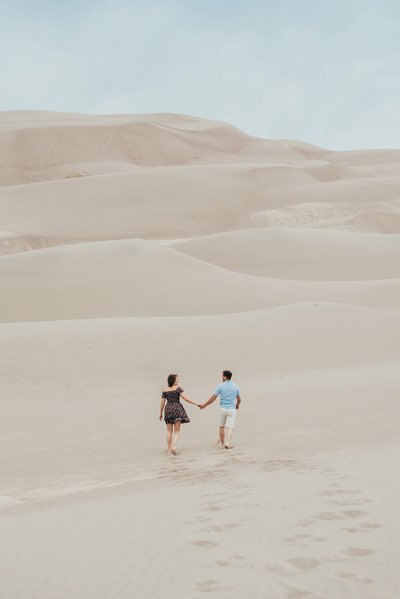 Elope in the diverse landscape at a beautiful location like the desert foothills of the Sandia Mountains, the dunes of White Sands, Santa Fe's aspen forests, or by one of the Jemez Mountains' lakes or rivers. And if you're not sure where to elope, let me know and I'll help you find the perfect ceremony spot! Just the three of us (your dog is invited too!) in a gorgeous outdoor location, capturing your love and having a blast! Adventure sessions are perfect for engagement photos, couple’s sessions, vow renewals, anniversary photos, and photos after your wedding day. When this adventure is finished and you’re on to the next, I’ll be working hard to deliver photos that will make you relive the day over and over. Images are hand edited and delivered in an online gallery that is convenient to view, download, and share. It usually takes me 2-3 weeks to deliver photos from adventure sessions, and 3-4 weeks for wedding images, but I always send a sneak peek in the first week! The day is finally here, now let’s have some fun! I’ll guide you to the most picturesque spots with the best lighting and document the real + emotional moments. But throw away all your fears of stiff posing and boredom. You're going to have fun, laugh, cry, and enjoy an amazing day of adventure. I’m here to create real moments when your personalities shine through and your love is documented authentically. I’m here to help you as much as you want as you plan your dream elopement. I’ll do the research and suggest locations, a timeline, other vendors to hire, and even fun details you can include to make your wedding personalized just for the two of you. Even planning a small wedding or an elopement can feel a little overwhelming, but I’m here to guide you! So what happens when you hire me?